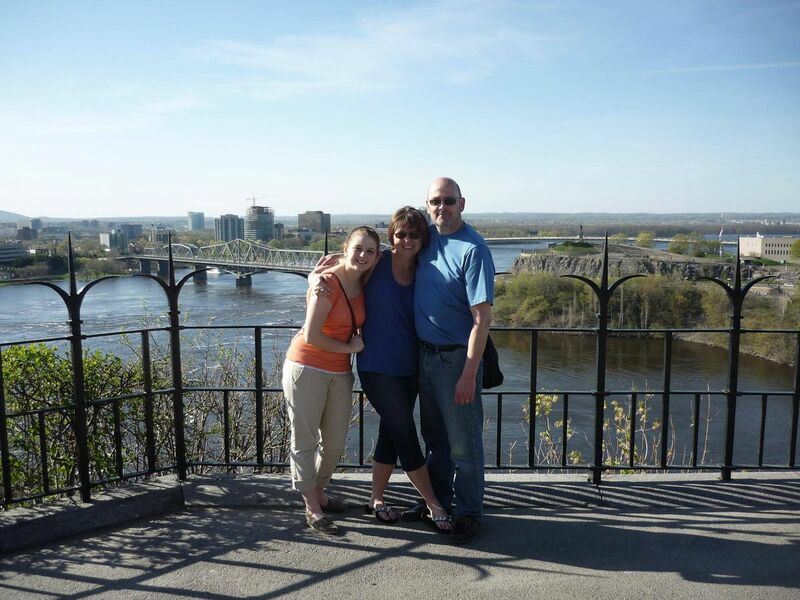 Caitlin, Erin and John in Ottawa in 2013. John travelled to Switzerland last September to receive a doctor-assisted death. In the nearly 12 months since Canada passed its medical-aid-in-dying legislation, physicians who help patients end their lives have been struggling to understand one of the most contentious aspects of the new law: What constitutes a "reasonably foreseeable" natural death? Now a national group of assisted-death providers is trying to define that murky term by publishing the first clinical-practice guideline on how doctors should apply the clause in the legislation that says a patient's natural death must be reasonably foreseeable. In a guideline paper released on Friday, the Canadian Association of MAID Assessors and Providers (CAMAP) argues the term should be interpreted broadly – with no specific measuring of how long a patient has left to live – so that people who would otherwise qualify are not denied the deaths they want. "This is a real problem across the country," said Jonathan Reggler, a family doctor on Vancouver Island who led the committee that crafted the new guideline. "We hear it a lot, as providers – that somebody who is obviously eligible [for assisted death] has been told by a physician elsewhere that they are not. That, of course, produces huge access problems." CAMAP's clinical practice guideline says doctors should avoid rigid time frames in their assessments of eligibility for medical assistance in dying (MAID) because the federal law "contains no requirement for a prognosis having been made as to the length of time the patient has remaining." The guideline instead encourages doctors to consider a patient eligible if his or her natural death is "reasonably predictable" from a combination of the patient's known medical conditions and factors such as age and frailty. The effort to create a cross-country standard on reasonable foreseeability is not without controversy. Some other doctors say the group's definition goes well beyond the spirit of a law intended to apply to the terminally ill, and that the clinical practice guideline itself is a peculiar document that was not developed with the widespread consultation that usually precedes the publication of a medical association's formal recommendations for treating patients. "They [CAMAP] didn't reach out to any of the other medical groups, or any of the organizations that are providing advice or doing training for physicians in this area," said Jeff Blackmer, vice-president of medical professionalism at the Canadian Medical Association, which represents physicians across the country. "Typically, these [clinical practice guidelines], in order to gain credibility and acceptance, really cast the net quite broadly." Dr. Blackmer said that although it is positive that providers of MAID are trying to develop uniform standards, the paper published on Friday fails to disclose that the guideline was spearheaded by a group of doctors who could be considered conflicted because some have spoken out in favour of scrapping the clause altogether. The disagreement underscores how grey areas in the federal law have left doctors, hospital administrators, health authorities and others to figure out on their own how to practice an entirely new kind of end-of-life medicine. Stefanie Green, the president of CAMAP, pointed out that there is no body of medical literature or expertise when it comes to determining reasonable foreseeability in everyday medical practice. "I think what we need to recognize is that there are no other 'independent' experts to consult," Dr. Green said by e-mail, adding she does not believe the group has a conflict of interest. "There is no other jurisdiction in the world trying to understand what reasonably foreseeable means in a medical context. The experience of our membership over the past year, through thousands of assessments and many provisions, is the best we have. And this is guidance from that community of experts." CAMAP was founded last November by eight British Columbia doctors who embraced the new assisted-death law at its outset. They built an electronic mailing list for providers looking to share the knowledge they had gained in assessing patients for eligibility and administering the lethal drugs. The service now has between 50 and 75 regular clinician members from nine provinces, while the larger CAMAP membership numbers in the hundreds, Dr. Green said. The association is holding its first national conference in Victoria this weekend. The University Health Network in Toronto generally turns down anyone who is expected to live for more than a year, said Gary Rodin, the head of supportive care at the Princess Margaret Cancer Centre, which is part of UHN. "I think the Canadian public, in their support of [assisted death] – and the majority of the public does support this – I think they thought of it and understood it to be for the terminally ill," Dr. Rodin said. "I think it requires a lot more conversation and debate if it were to be widened. The implications are quite far-reaching of expanding the guidelines." The CAMAP guideline includes three hypothetical cases, one of which involves a man diagnosed at age 30 with Huntington's disease, a relentlessly progressive inherited brain disorder that leads to uncontrollable movements, dementia and, eventually, death. CAMAP argues that even if such a patient is expected to live another 10 or 20 years, he should at least be considered for MAID, especially because he is almost certain to lose the mental capacity to request a physician's help before his entirely predictable death is imminent. Erin Schreurs wishes that standard had applied for her husband, John, who travelled to Switzerland last September to receive a doctor-assisted death. The 54-year-old Ontario father of two had Huntington's disease and would have preferred to die in Canada, but the four doctors (two family physicians, a psychiatrist and a neurologist) who supported his desire for medical aid in dying felt he would not qualify because his natural death was not reasonably foreseeable. "More power to them," Ms. Schreurs said of the CAMAP doctors, her voice catching. "If there's anything the doctors can do to give more liberal guidelines, I think it's great."